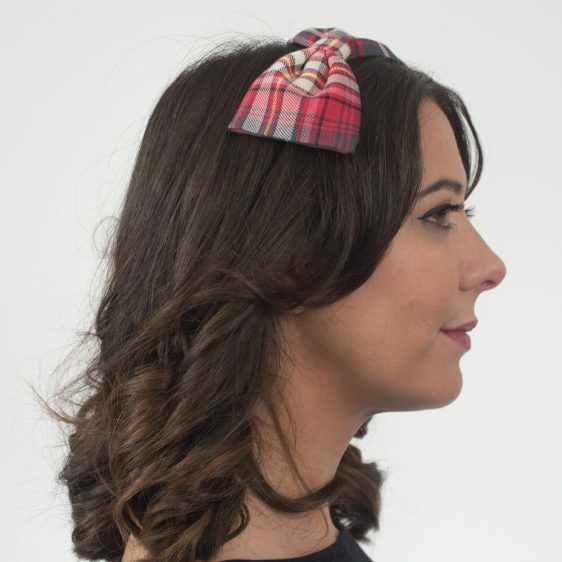 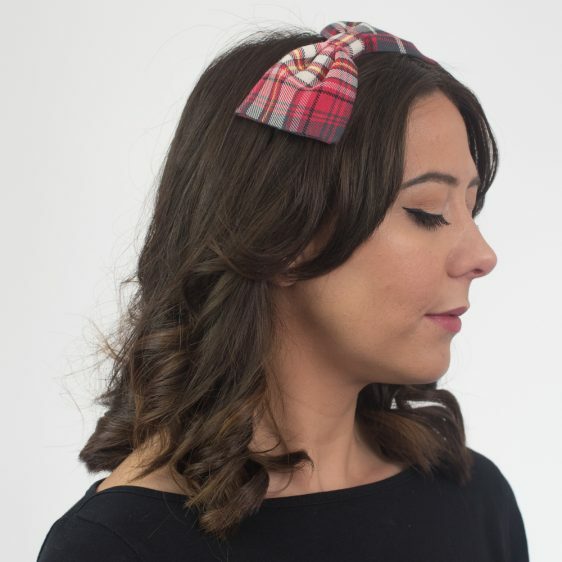 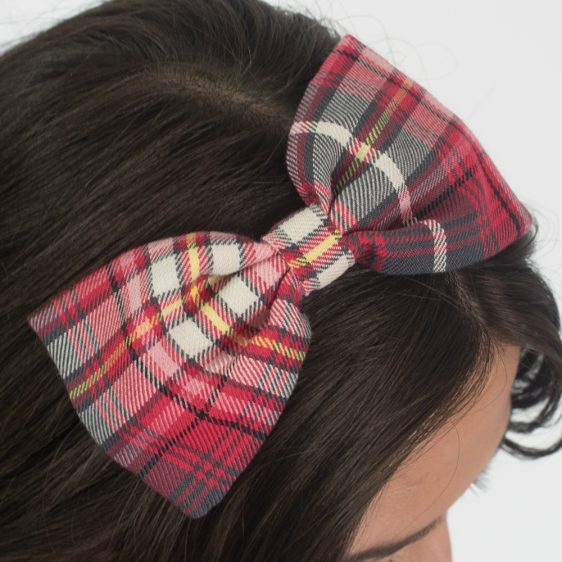 Coral pink and grey tartan bow on a black satin headband. 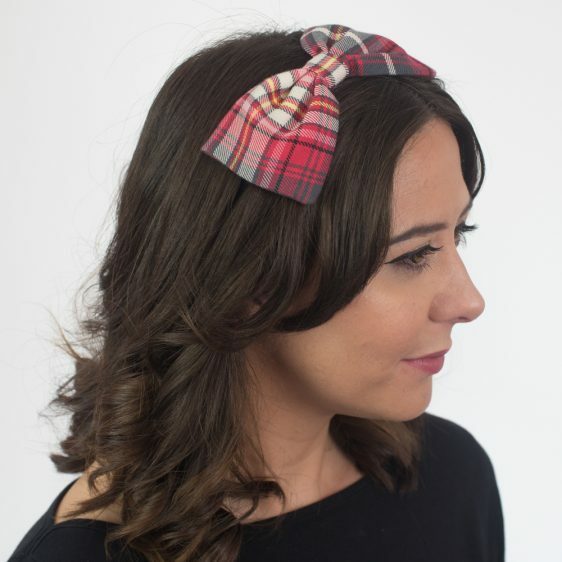 Perfect for parties, special occasions or just brightening up a dull day at the office. 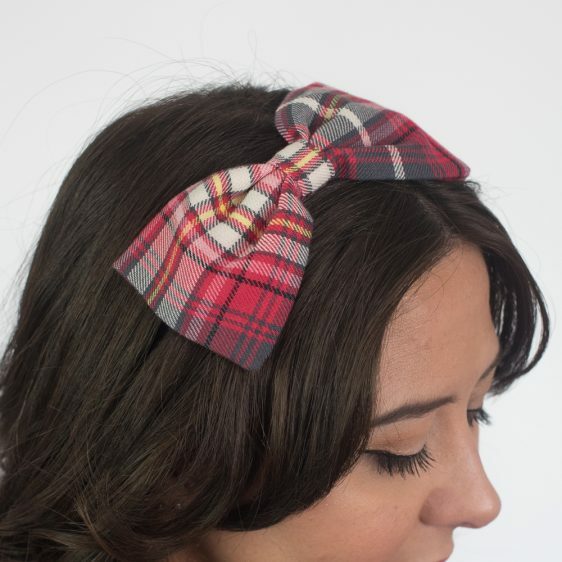 Tartan isn’t just for winter!